Janis Gudrun Johnson is a Canadian Senator representing the province of Manitoba. She was appointed to the Senate in 1990 by Right Honourable Brian Mulroney and is currently the longest-serving Conservative member of the Upper Chamber. She currently serves on the Senate Standing Committees on Foreign Affairs and International Trade, the Standing Committee on Energy, the Environment and Natural Resources and the Committee on Senate Modernization. Johnson has been Co-Chair of the Canada-United States Inter-Parliamentary Association for over 5 years and frequently interacts with her American counterparts on bilateral issues. Over the past 26 years, she has served on or chaired over a dozen Senate Committees, including Fisheries and Oceans, Transport and Communications, Aboriginal Peoples, Human Rights and the Committee on Internal Economy. Prior to her appointment to the Senate of Canada, Senator Johnson owned her own consulting firm, Janis Johnson & Associates, a public policy and communications group based in Winnipeg. The firm did extensive work on social policies including women’s health and equality issues, aboriginal affairs and cultural policy. A member of the CN Board of Directors for five years, she was one of the first women appointed to this board in 1986. During her tenure, she led the way in the establishment of the first on-site child care facility within a Crown Corporation in Canada, through her work as Chair of the Social Policy Committee. Volunteerism has been a fundamental aspect throughout Senator Johnson’s life and career. She was on the founding board of the Manitoba Special Olympics in 1981 and later became a Director with Special Olympics Canada. They have grown to become one of the foremost organizations serving the mentally handicapped in the country. 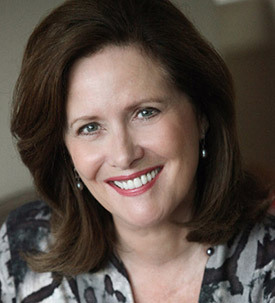 Senator Johnson has also been active in the arts and cultural community in Manitoba and Canada, serving for two deca des on the advisory board of the Royal Winnipeg Ballet and on the boards of Prairie Theatre Exchange (Winnipeg), the Winnipeg Art Gallery and is Chair of the Gimli Film Festival, which she founded in the year 2000. Active in politics since her years in university, she was a student leader at the University of Manitoba, studying political science and receiving the Velia Stern Outstanding Student Award upon graduation in 1968. After graduation, she delayed her law school studies and moved to Ottawa where she served as youth policy advisor to the Leader of the Official Opposition, the Hon. Robert Stanfield at Progressive Conservative (PC) Headquarters. Johnson also worked as a political organizer in Ontario, Western Canada and Newfoundland and Labrador. In 1973, she married Premier Frank Moores and lived in Newfoundland and Labrador throughout the 1970s, where she worked closely with her husband in her role as a Premier’s wife. Senator Johnson returned to Manitoba in 1979 with their son Stefan and rebuilt her career, beginning at the University of Manitoba in the Department of Continuing Education. She designed a proposal to enable women to upgrade their academic credentials and practical skills, so as to return to the workforce better equipped for the modern economy. She established the first Women’s Progressive Conservative Caucus in Winnipeg in the early 1980s and subsequently co-chaired Brian Mulroney’s second leadership campaign, going on to serve as the first female National Director of the PC Party of Canada in 1984 to 1985. In 1984, Prime Minister Mulroney won the largest majority in Canadian political history and Johnson remained a political strategist for the party prior to entering the corporate world. Senator Johnson is the recipient of many honours including the Queen’s Silver Jubilee Medal (1977), the Canada 125 Medal (1993), the Business and Professional Women’s Award (1995), The Special Olympics Award for Volunteerism (1994), the Winnipeg School Division 125th Anniversary Award (1996), the Queen’s Golden Jubilee Medal (2003), the Queen’s Diamond Jubilee (2012) and the Outstanding Alumni Award from the University of Manitoba (2009). In August of 2000, the Government of Iceland awarded her the Order of the Falcon for her work in promoting Canadian-Icelandic relations over many years. As of 2014, Senator Johnson has been serving as the Honourary Chair of Women for Nature, an initiative of Nature Canada, one of the country’s leading nature and outdoors advocacy organizations. Throughout her life, Senator Johnson has been active in fitness and sport, loves fly-fishing Atlantic salmon and spending quiet time with her family and three grandsons at her home in Gimli, Manitoba on the shores of Lake Winnipeg .